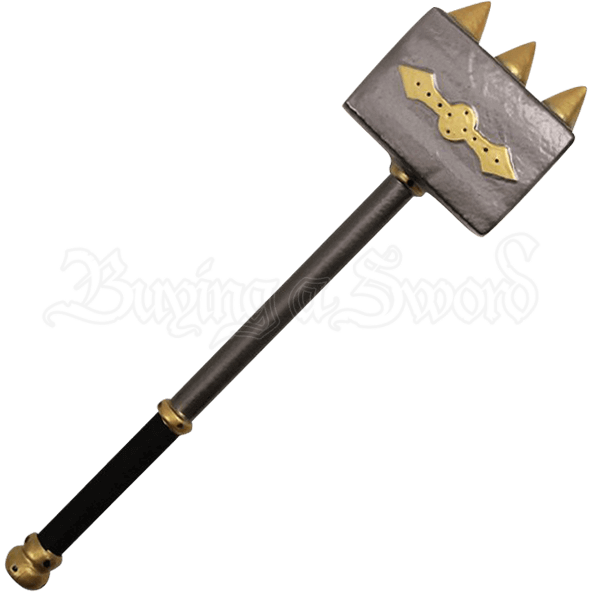 Crowned with three large gold spikes across the top, this Spiked LARP Warhammer will rule the battlefield. A double ended gold arrow decorates the side of the head, while the handle displays gold accents and a cord wrapped grip. Crafted from dense latex foam with a unique fiberglass fusion core, this fantasy LARP hammer is lightweight and extremely flexible. The durable latex construction with painted details provides a realistic look for any cosplay or theatrical production. 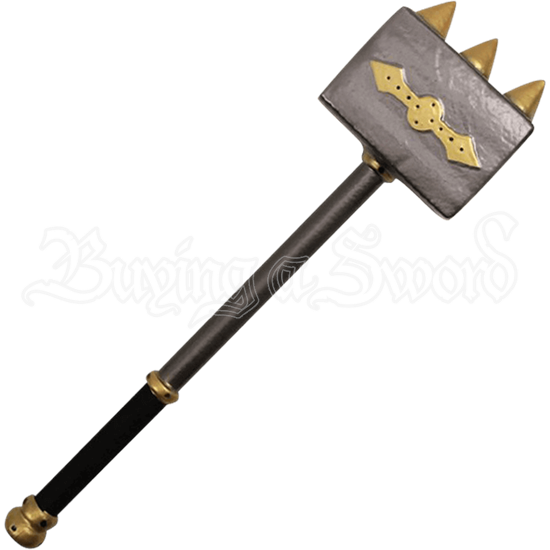 An excellent choice for dwarves, barbarians, and orcs, this Spiked LARP Warhammer is suitable for light sparring.